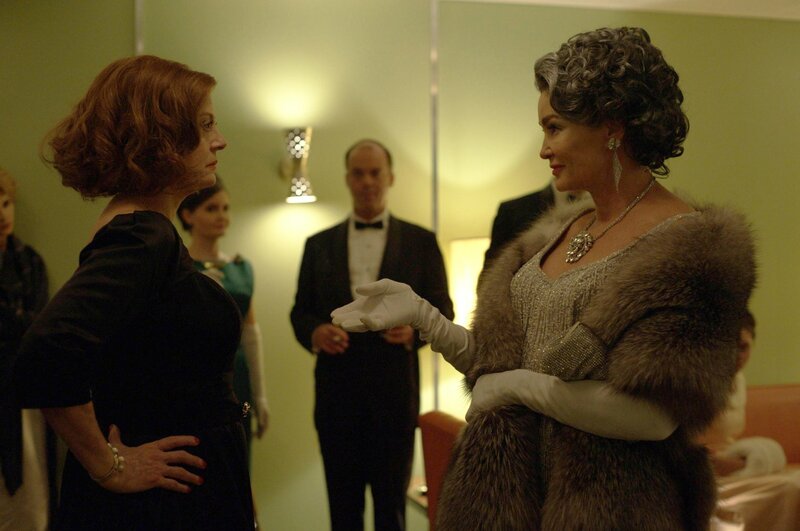 Have you been watching The Feud starring Susan Sarandon and Jessica Lange? 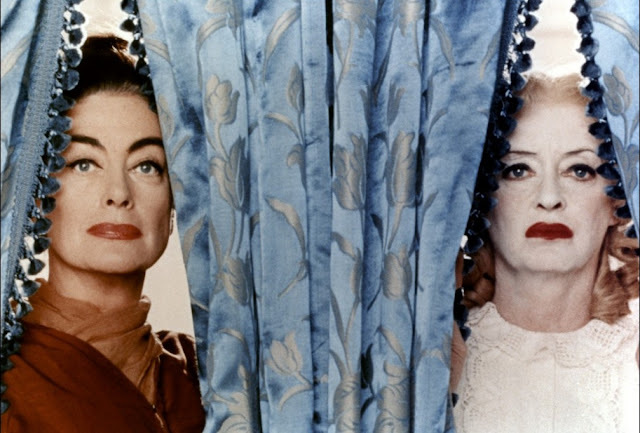 The two women play the legendary stars Bette Davis and Joan Crawford during the filming of Whatever Happened to Baby Jane and its aftermath. Joan Crawford, looking to revive her flagging career—Hollywood was, and is still not, kind to actresses over 50—found the book Whatever Happened to Baby Jane by Henry Farrell and brought the project to Jack Warner at Warner Bros with the idea of casting Bette Davis as her costar. 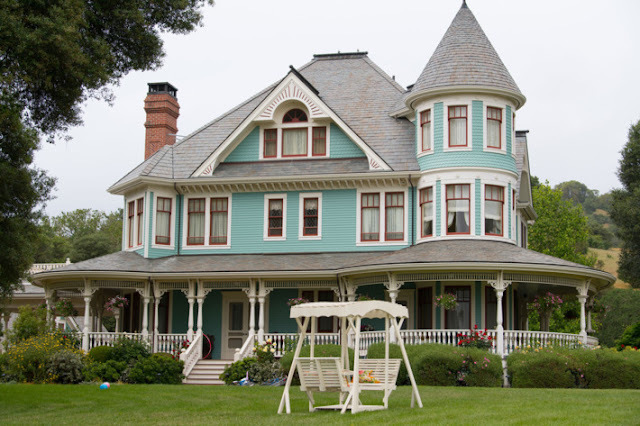 Crawford knew the material was solid and with Davis on board was sure it would be a hit. 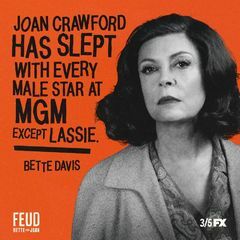 but when the cameras started rolling Crawford’s insecurity and jealousy got the better of her. Their onset relationship was mostly a nightmarish struggle for top dog status with Joan Crawford always trying to get the upper hand. Susan Sarandon is always strong but her attempt at Bette Davis’ voice is a bit on the inconsistent side, sounding somewhat forced. It’s Sarandon though, so I don’t care. 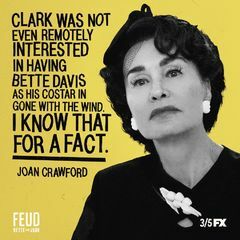 She’s always been ballsy and that fits Davis to a T.
Jessica Lange is a powerhouse as Crawford. While Davis’ character in Baby Jane is the more showy part, the part that grabbed Oscar’s attention, in Feud it’s just the opposite. Jessica Lange shows us every vulnerable, insecure, hateful, vengeful moment, a performance bound to get Emmy’s attention. I’m surprised the relationship hasn’t come down to an all out cat fight. 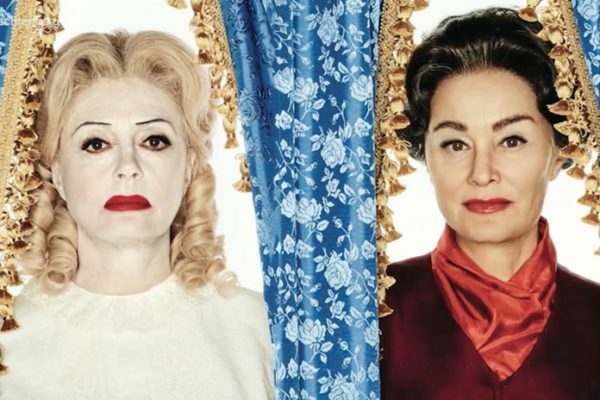 Feud airs on FX on Sunday nights at 10pm—there are three remaining episodes this season—or watch it On Demand like I do. But even if you don’t watch it, check out the main title sequence. In the mode of the legendary designer Saul Bass, they don’t make them like that anymore. 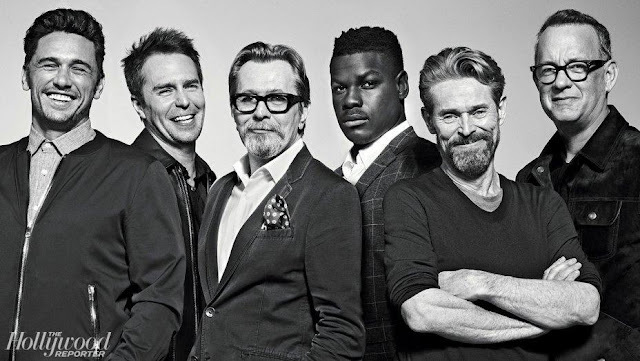 Period pieces are always fun, if only for the costumes. A series with such strong women has to be amazing.